If you’ve been following along, you know that I’m allowing beneficial wild plants to grow in my gardens. These plants had previously been labeled “bad weeds” and eliminated as quickly as possible. Last year, I allowed unidentified plants to grow where they may, then once they were mid sized I attempted to identify them. The good guys were allowed to remain, while the bad guys were sent to the compost pile. The winners from last year were pokeweed, amaranth (pigweed), and lambs quarters. 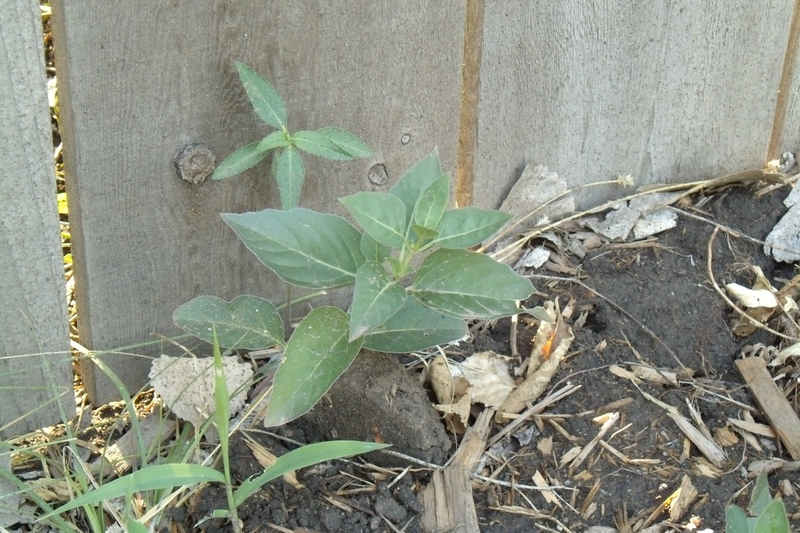 The pokeweed was allowed to stay as a soil beneficial, and to provide food for the birds. Pokeweed should certainly be monitored closely if you have young children, as the berries are highly poisonous when ingested. The amaranth was allowed to stay as an edible option, and to provide food for the birds. Amaranth may be used both as young salad greens, and specially prepared as late greens. Additionally, the amaranth seed is extremely nutritious and can be ground into flour, or eaten whole or cracked in foods. The seeds are extremely small, so many are required for flour use. Each plant graciously provides thousands of seeds. 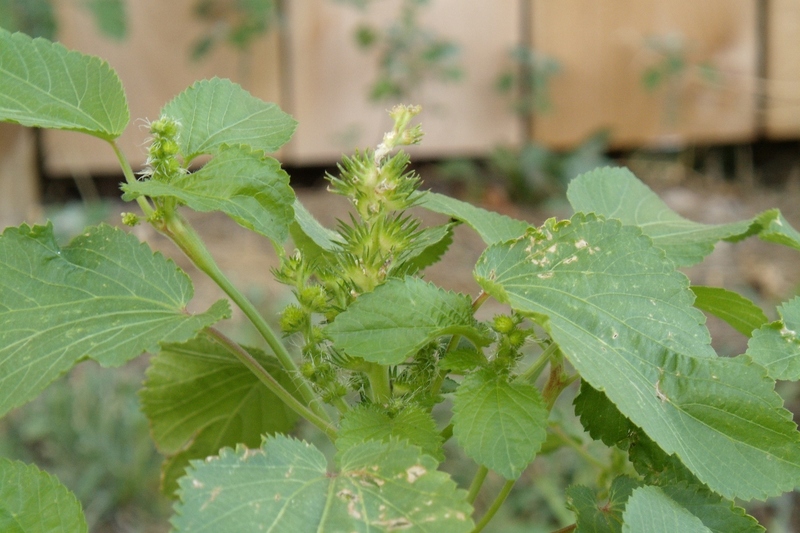 Lambs quarters were allowed to remain as an edible option, and to provide food for insects and birds. 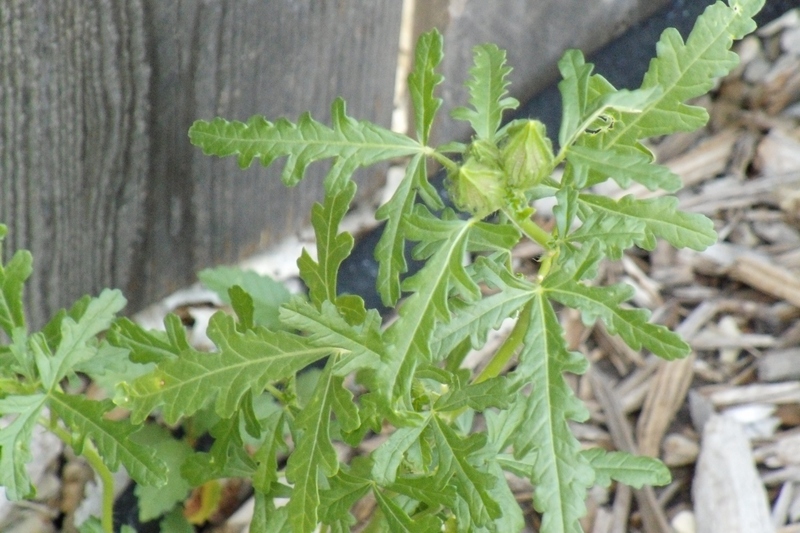 Lambs quarters may be used as young salad greens. We’ll call the above, Unidentified Plant Number 1. Do you recognize UPN1? The above plant is Unidentified Plant Number 2. I wondered if it might be stinging nettles? What’s your take on UPN2? Above is Unidentified Plant Number 3. Now this one reminds me more of stinging nettles than the previous. Can you identify UPN3? 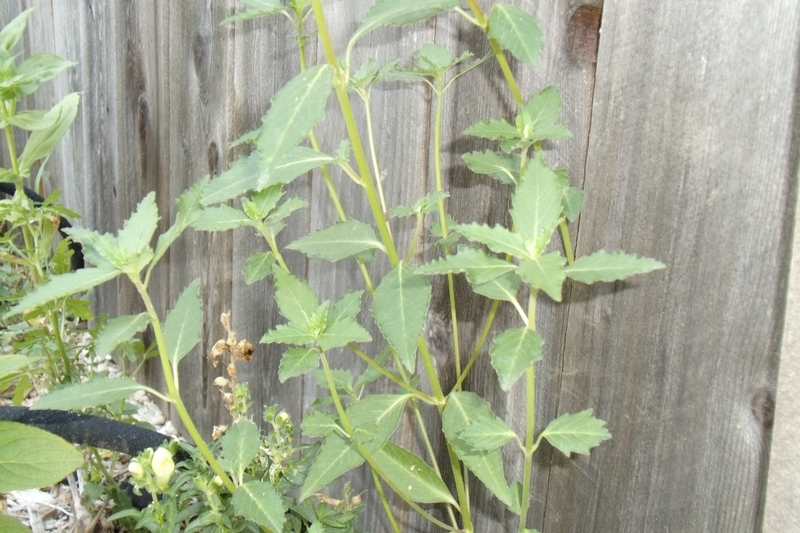 Above are two plants, the taller is Unidentified Plant Number 4, while the lower is an extremely aggressive Unidentified Plant Number 5. Are either UPN4 or UPN5 familiar to you? From past experience, I plan to cull UPN5 whenever I spot it, but if it is beneficial, I might give it a small hold in the rear garden, Garden Two. It does have some beautiful foliage, and musters up dainty little flowerets that are a filmy greenish-pink color. Aha! I’ve found another culprit. See if you can identify that crazy black interloper below! Silly cat! 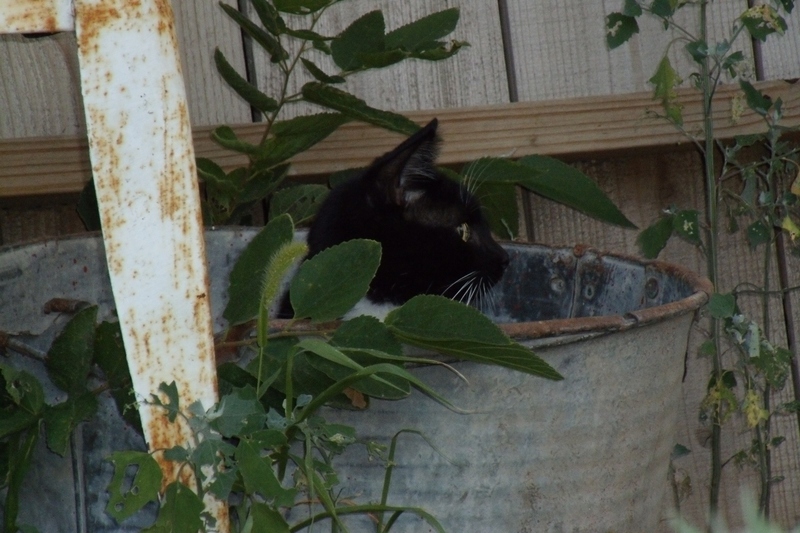 That’s our Hobo kitty hiding in the rusty bucket.